NEXT DAY DELIVERY Place an order for items in stock before 4pm and we'll have it shipped and delivered by next business day. Need a confirmed time slot for arrival? We can sort that for you too. 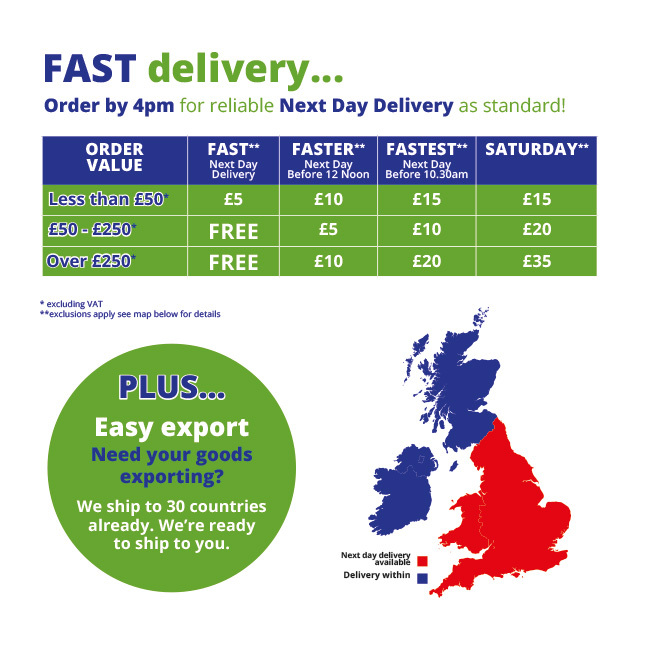 FREE DELIVERY We now offer FREE delivery on all orders over £50 and its only a £5 for orders up to £50. NO QUIBBLE RETURNS Product no longer needed? That's no problem! Simply return the product to us in a saleable condition within 30 days of purchase and we will issue a refund (terms and conditions apply).